jtwebsterbooks: Where Do Stories Come From? This question was inspired by The Dragon's Pen's latest post. Pen, as her post reveals, is a very visual person. Her muse is inspired by pictures and things she sees. She posed the questions: What personality is your muse? What inspires you? It got me thinking. Where do my stories come from? And I had to think hard, because they are just there. I have always had an incredibly fertile imagination. I've always been able to stretch the truth. As a child I know I told some incredible 'white lies'. But what starts me on the creation of a story? I realised it's other stories, be it books, films, television, or the stories of family and friends. I store them up, marinate them with my own flavouring, then deliver them freshly baked onto my computer screen. I can see the evidence of this in my writing. I've always loved to read long, epic, historical novels and that is what I'm writing. 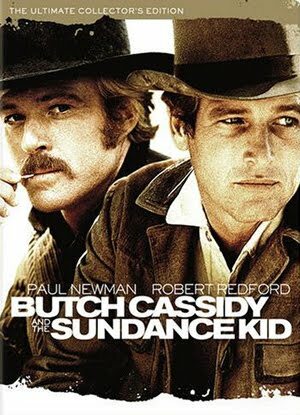 Westerns - from The Little House books to movies like Butch Cassidy and the Sundance Kid have always intrigued and excited me. So it's no surprise that my novel is set in 1880s Wyoming and has a good mix of outlaws and God abiding characters. I'm known in my family for having the best memory. My head is full of stories from the lives of my aunts, grandparents, great uncles etc. Several of the more intriguing events in my families past have turned up in my short stories. I think 'place' has a part in it too. I love Dunedin - I've lived here my whole life. I've set a few short stories here, and there are several more waiting to come out. Central Otago is another favourite place. 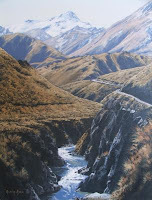 Recently I brought three books about the history of the Maniototo, Wanaka and Strath Taieri. Fodder for future novels. So thank you Pen for asking the question and inspiring this post. For the other writers out there in the blogosphere, how are you inspired?